Simply choose what to do first: a getaway at the beach, a culinary and wine tasting tour of the Iberian peninsula or you can ask your travel agent for pointers as Spain holidays offer city break options to Madrid, Barcelona and Seville or avail of packages which will take you around the country's notable sights and attractions. Though least-known, Murcia in Spain has a beautiful coastline and gorgeous mountain villages, with an unspoilt and a somewhat rugged,raw feel to them. If experiencing delectable and mouthwatering cuisines and local dishes comprise the key objective of your vacations, Murcia is the place to visit and a quick search on the worldwide web can open up a world of options which will assist you in planning your trip here. The classic Murcian cuisine consists of fresh fruits and vegetables, rice, seafood, sausages and confectionery. Rincon de Pepe – This is the most famous tapas restaurant and its menu includes all the popular tapas recipes such as mullet in garlic and mojama. Among their dessert selection, Paparajotes is truly mouthwatering. Restaurante El Sordo – This restaurant is located in a small village which is a short drive away from Murcia. As it is an extremely popular restaurant, you’d need to book a table in advance. It serves traditional and authentic dishes in generous portions and also offers local house wine. Meson El Corral de Jose Luis – A popular and rustic restaurant, it offers some amazing tapas recipes along with several meat dishes, such as Iberian tenderloin with garlic. Acuario – A family-run restaurant, it offers a flattering wine list and dishes made with local and fresh produce, which is picked by the chef each day. El Grumete – Famous for its rice dishes such as paella and Arroz Caldero, it also offers fresh seafood and is renowned for its specially-prepared mussels. Hispano Hotel Restaurants – Hispano is a perfect place to get a taste of traditional dishes such as fresh fish, grilled vegetables and seasonal salads. The stew of the day comes with local Murcian wine and homemade bread and is worth trying. Monteagudo – A short drive from Murcia, this restaurant’s menu includes some interesting wines and authentic traditional recipes with a contemporary touch to them. Meat, fish and grilled vegetable dishes are all equally delectable, while their warm chocolate souffle is out of the world! Murcia has many other bars and restaurants that offer appetizing menus. It is difficult not to spend your vacation darting from one restaurant to another. 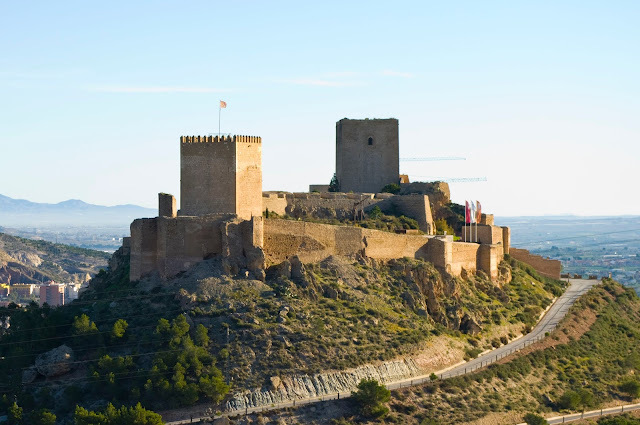 Relax and do savor your time spent in Murcia, you'll definitely relish a chance at another refreshing sojourn here.